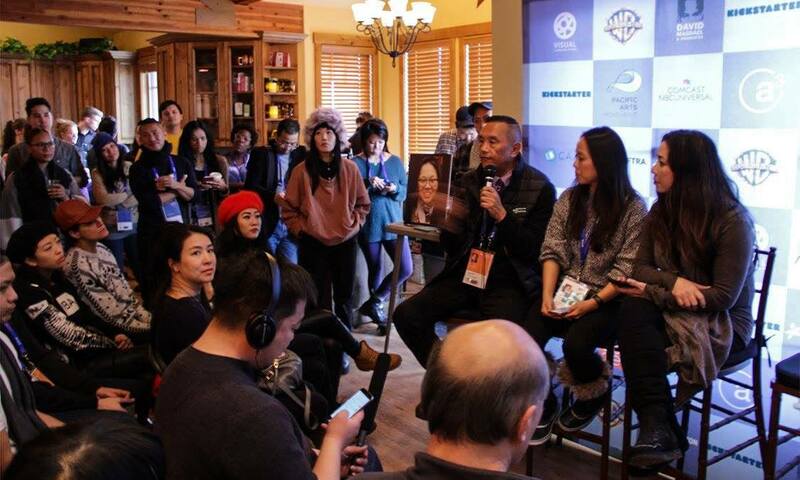 LOS ANGELES, CA - Kollaboration returns to Austin, TX for the second year in a row to celebrate and strengthen the growing call for Asian representation in media, arts, leadership, and beyond during the 2018 South by Southwest Conference & Festival (SXSW). This multi-media music festival, film festival, and interactive media conference is where the best and brightest in tech, innovation, and entertainment converge. On Tuesday, March 13 from 3-7pm CST, Kollaboration will host a networking meetup sponsored by Pandora and HBO. The centerpiece of the event will be a a panel entitled “#AsAmCreatorRollCall in Austin,” featuring an inspiring discussion between Kollaboration Executive Director Minji Chang and a panel of Asian American creative and business leaders including: Gingger Shankar (Musician, Producer), Jeff Ho (Director of Design, Pandora), Susan Jin Davis (Chief Sustainability Officer, Comcast NBCUniversal), and Garrett Gee (Founder, Snap; The Bucket List Family). This will be followed by a conversation between Leonardo Nam (Actor, HBO’s Westworld) and HBO’s 2018 APA Visionaries finalist and Austin native Huay-Bing Law (filmmaker). This discussion is inspired by the #AsAmCreatorRollCall hashtag movement, started by writer/filmmaker Greg Pak, as well as the powerful #AsAmCreatorRollCall in Park City conversation that took place at the Sundance Film Festival during the 2018 APA Filmmakers Experience which included Jon M Chu, director of the upcoming Warner Bros feature film “Crazy Rich Asians.” The #AsAmCreatorRollCall movement is a call to action to recognize creators from Asian American community, and for these creators to support one another to create better, and more accurate, representation of Asians and Asian Americans on the screen, page, boardroom, and beyond. #AsAmCreatorRollCall in Austin will be a staging point for creators and leaders to collide and compel each other to take charge of their own narratives to create a better, more diverse world. The #AsAmCreatorRollCall in Austin event will bring together perspectives from multiple disciplines, including entertainment technology, business leadership, and media arts, and will be another building block for industries and individuals in creating a more inclusive future. About Kollaboration: Kollaboration is a 501(c)3 non-profit organization and movement founded in 2000 by comedian Paul “PK” Kim to support the endeavors of Asian and Pacific Islander Americans (AAPI) in arts and entertainment. Kollaboration’s mission is to build bridges, out-create negative stereotypes and promote diversity by providing platforms to discover, empower and connect the next generation of AAPI artists and leaders. Kollaboration programs seek to highlight and bring awareness of diverse AAPI talent in media and drive change for inclusion in popular culture.